July 1945 – only two things stand between Britain and the recapture of Singapore: a pair of gigantic Japanese warships sitting imperiously in the Johor Strait, their enormous guns dominating all sea and land approaches to the island. King George VI’s cousin, Lord Mountbatten, the man who sent in the Cockleshell Heroes in 1942, orders the ships destroyed – at any cost. 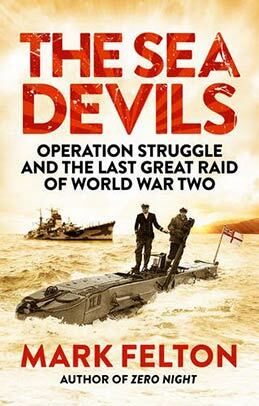 "Felton cranks up the tension as he traces the fortunes of all involved, from the call-out for Royal Navy volunteers for "special and hazardous service" through to the missions' dramatic conclusion ."